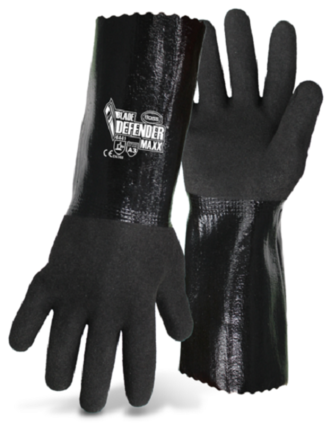 Blade Defender Maxx Gloves by Boss are fully cut resistant gloves and are liquid proof. If you're looking for gloves that are extremely durable, resistant to moisture, UV light and chemicals, these gloves will get the job done. Perfect for added protection and a solid grip.